This bar of soap is amazingly rich and thick. It is formulated to sooth and calm dry and angry skin and is great for sunburned cheeks. It's incredibly softening and safe for acne prone skin as well. This is a thicker, heartier version of my OATS bar. This bar is free from artificial colorants (the top is tinted by the propolis) and fragrance but does have a really lovely soft oatmeal and honey scent. 🍃🍃 Raw Manuka Honey is antimicrobial and healing. It's anti-oxidant, anti-bacterial and anti-inflammatory. It's a wonder food and a great and useful addition to skin care. 🍃🍃 Oatmeal is just another term for colloidal oats. It's formulated to be easily absorbed and used by out skin. Oat protein helps smooth and comfort itchy, scratchy, and dry skin. It also creates a hydrophilic film that forms at the skin surface. It consists of humectant and water-binding constituents and lipids. This lotion is made with fresh organic oat milk. ➡ Each bar is about 4 ounces by weight, not volume. 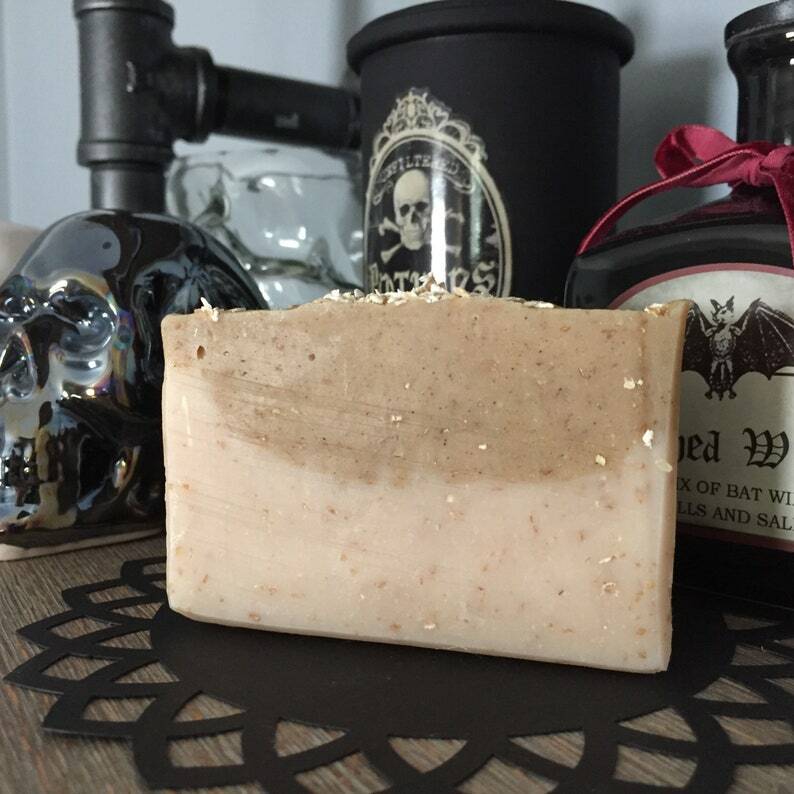 Such a yummy smelling soap! Love!